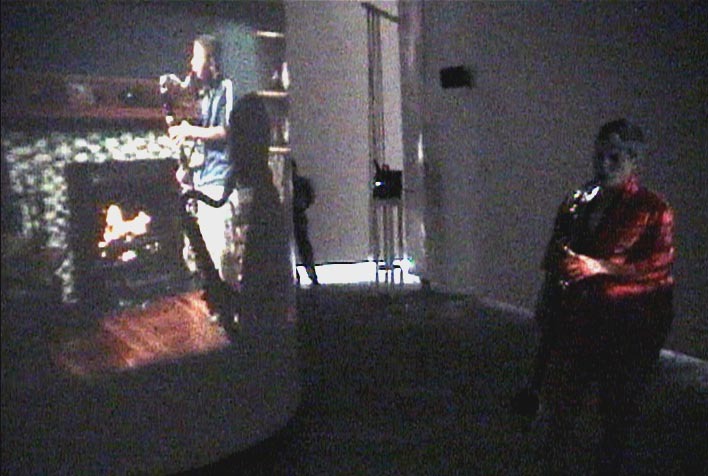 Images show production and installation shots from the Morris & Helen Belkin Gallery (Vancouver, 2000); Oboro (Montreal, 2001), and Open Space Gallery (Victoria, 2002) along with performance images with Lori Freedman playing in the quartet to create a quintet. 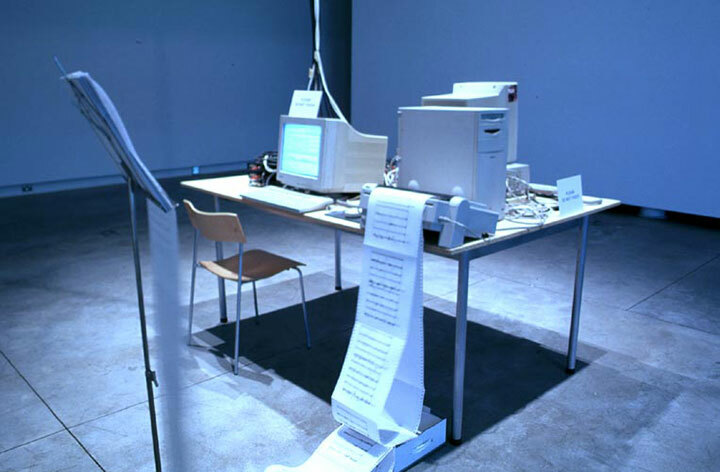 A multimedia, performance installation that includes audience contributions and computer components. 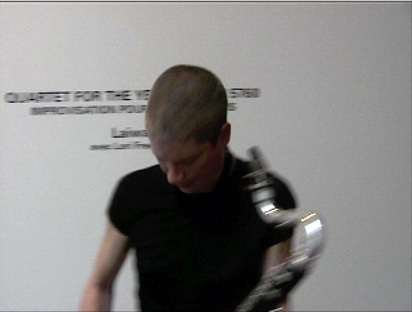 Featuring Lori Freedman on bass clarinet. 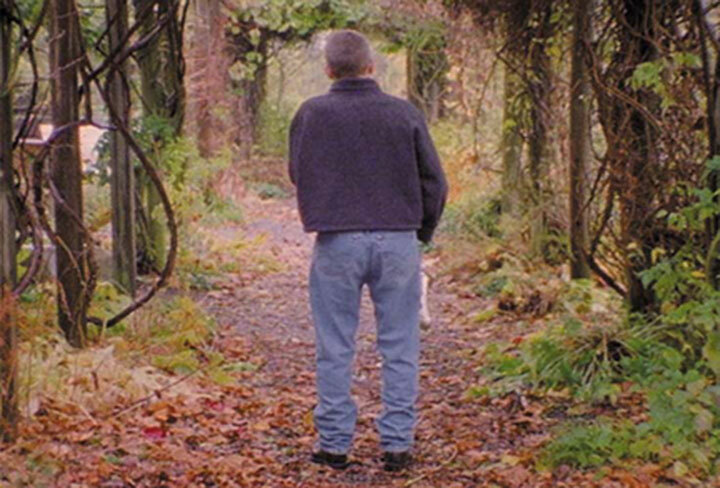 An exhibition catalogue was published by Open Space Gallery, Victoria, 2004. Visit the QUARTET website here.